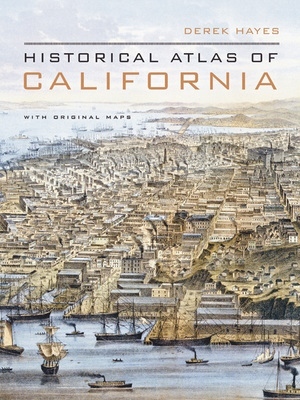 Using nearly five hundred historical maps and many other illustrations—from rough sketches drawn in the field to commercial maps to beautifully rendered works of art—this lavishly illustrated volume is the first to tell the story of California's past from a unique visual perspective. Covering five hundred years of history, it offers a compelling and informative look at the transformation of the state from before European contact through the Gold Rush and up to the present. The maps are accompanied by a concise, engaging narrative and by extended captions that elucidate the stories and personalities behind their creation. 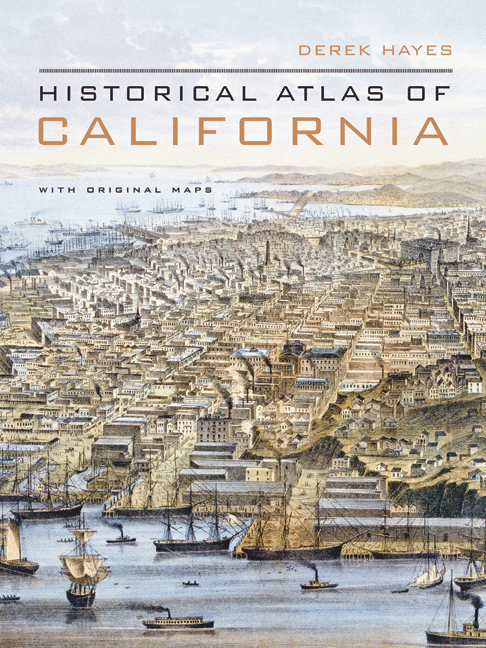 At once a valuable reference and an exhilarating adventure through history, the Historical Atlas of California, featuring many rare and unusual maps, will be a treasured addition to any library. Distilling an enormous amount of information into one volume, it presents a fascinating chronicle of how California came to be what it is today. Derek Hayes is the author of Historical Atlas of the United States (UC Press), Historical Atlas of the Pacific Northwest, and The Historical Atlas of the Arctic among other books.